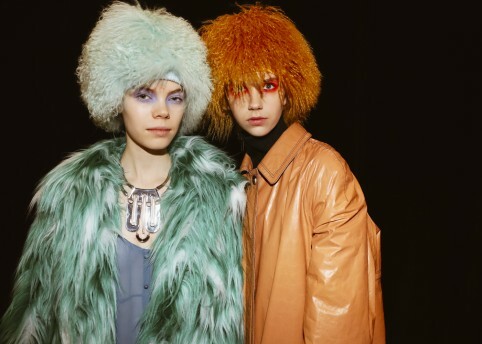 The sprawling imagination of Rei Kawakubo can take her show attendees on all sorts of vivid flights of fancy, from the richly romantic to the hallucinogenic and the disturbing. 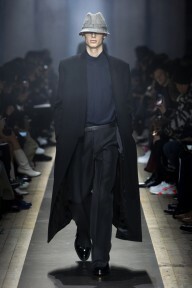 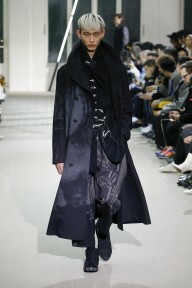 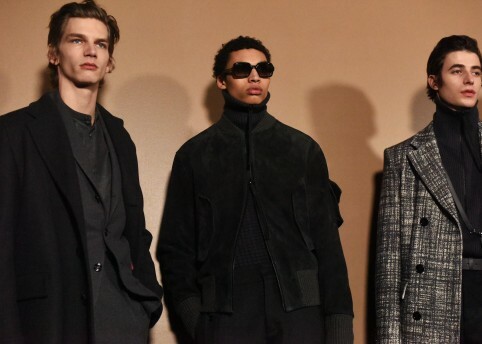 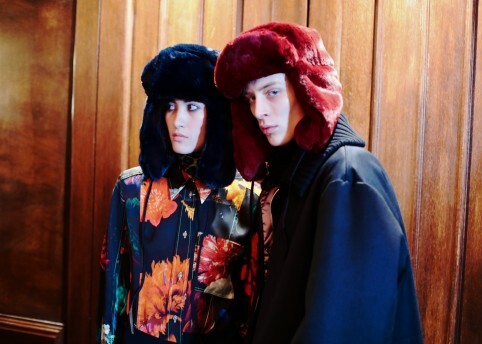 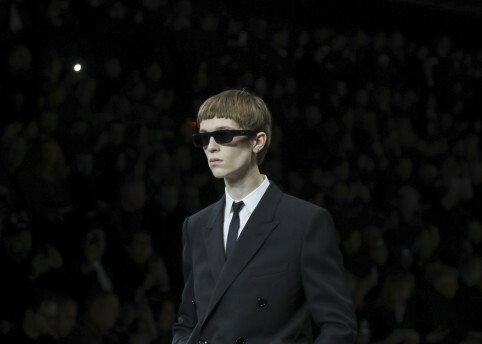 This season for Comme des Garcons Homme Plus her mind was clearly in the latter mode, presenting a dark, grunge-inflected horrorshow that was a jolt to the senses after the overwhelming move towards wafty, luxurious tailoring over the past few days of men’s shows. 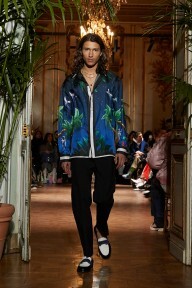 Accompanied by the industrial techno of cult LA-based band Vowws, models thundered down the runway, eyelids covered in kohl and lips painted black or a metallic blue, while strings of slicked hair swung in front of their eyes. 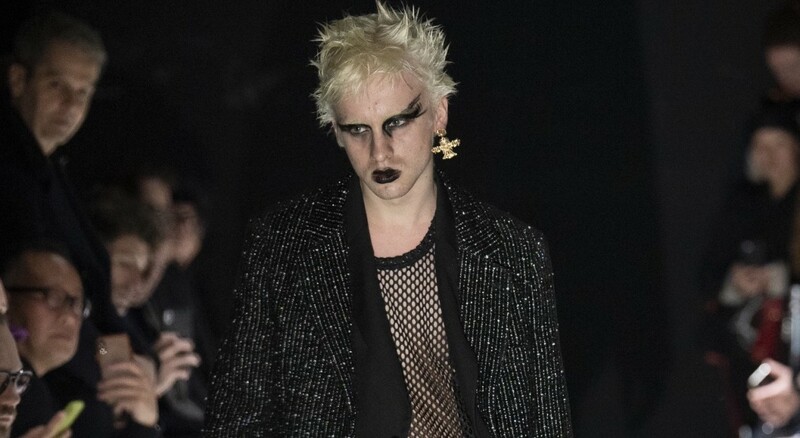 There was a strong fetish undercurrent, with intricate, interconnected leather harness covered in studs and spikes alongside fishnet tops and tights that was counterbalanced by loosely-cut jackets in richly decorated, brocaded silk as well as a series of cleverly layered overcoats that were strangely desirable – one covered in swirls of delicate purple rhinestones. 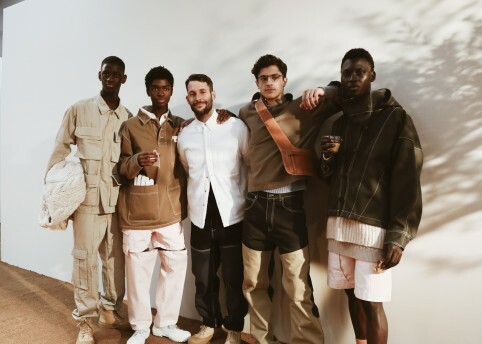 It’s difficult to know what to make of the political implications of the collection, with the anarchist stylings carrying an uncomfortable echo of the political turmoil erupting on the streets of Paris every Saturday, with the protests held by the gilets jaunes. 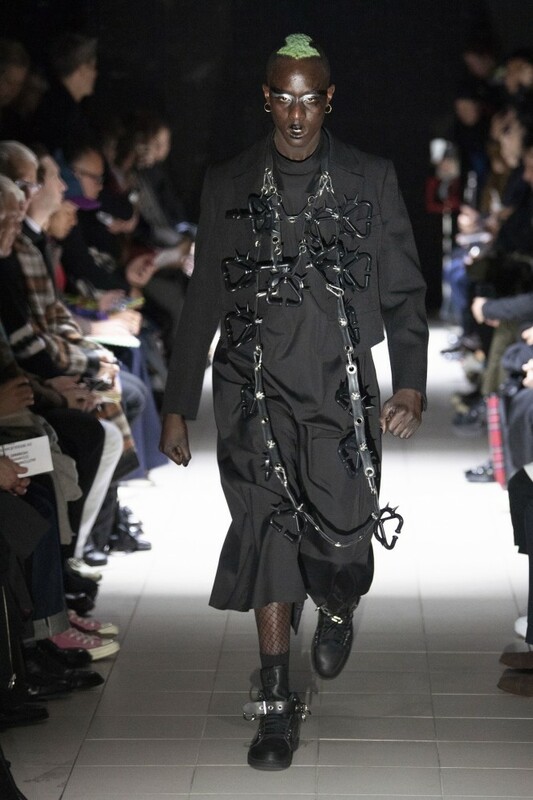 But even if this was a distinctly sinister turnaround from Kawakubo’s last few seasons, it was also – by some twist of fate – one of her most beautiful.